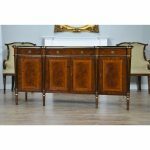 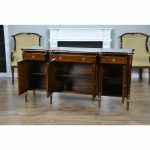 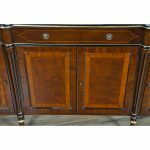 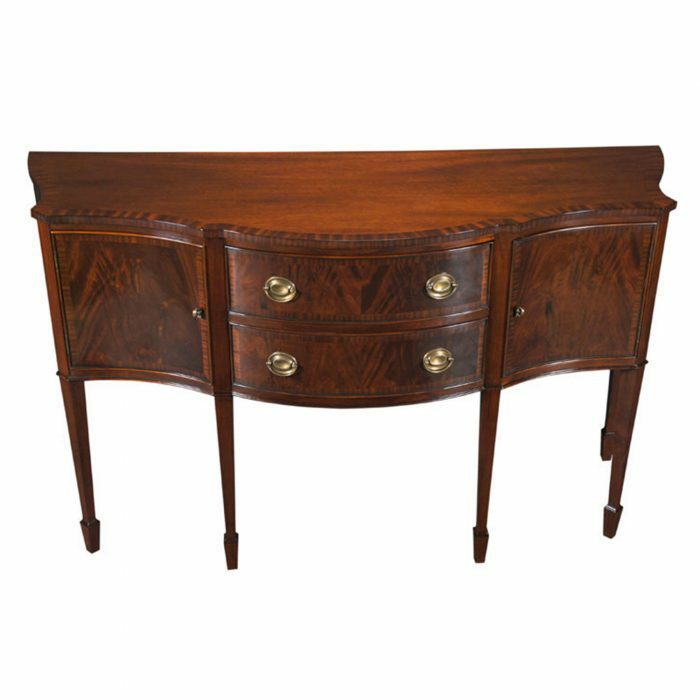 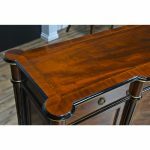 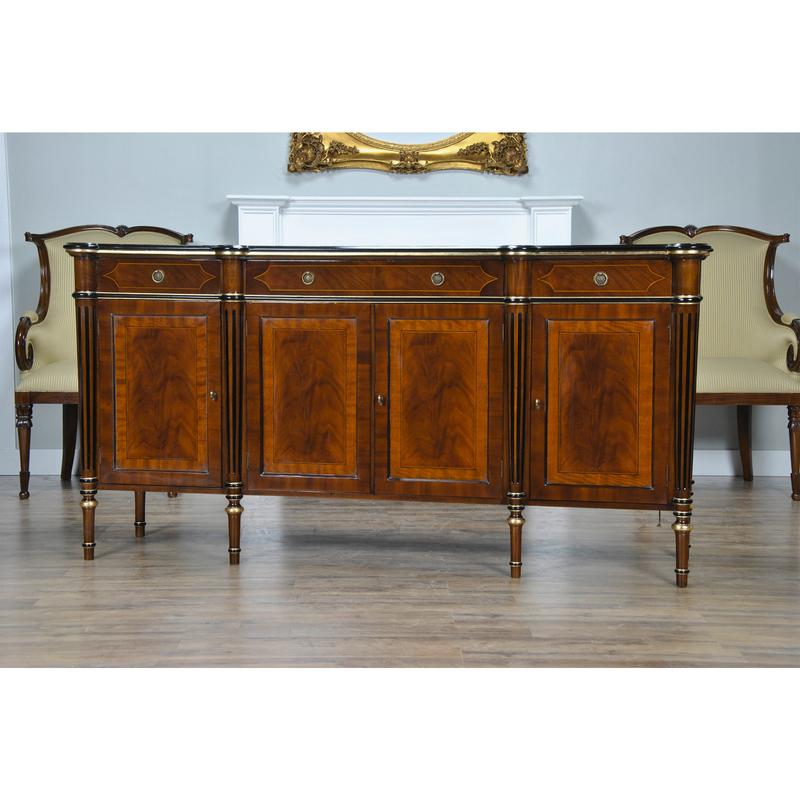 The Niagara Furniture Regency Sideboard draws it’s inspiration form the great homes in England during the reign of the Prince regent in the late eighteenth century. 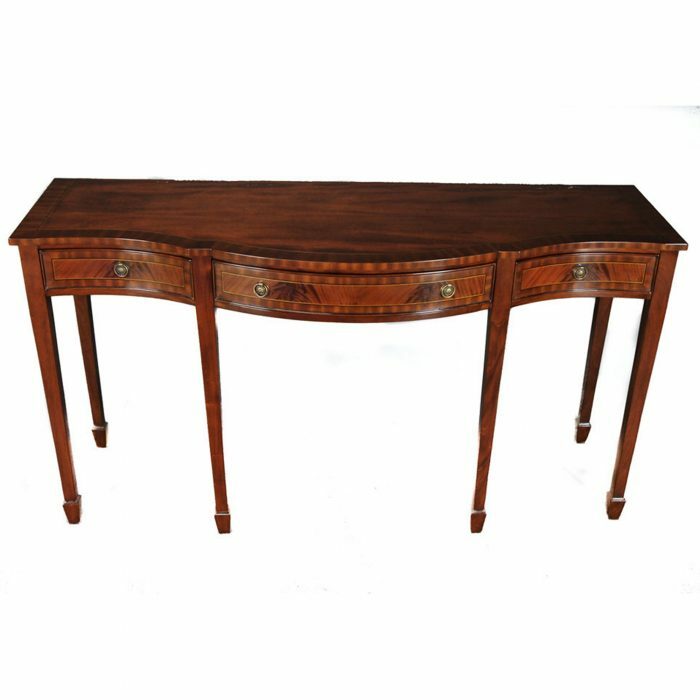 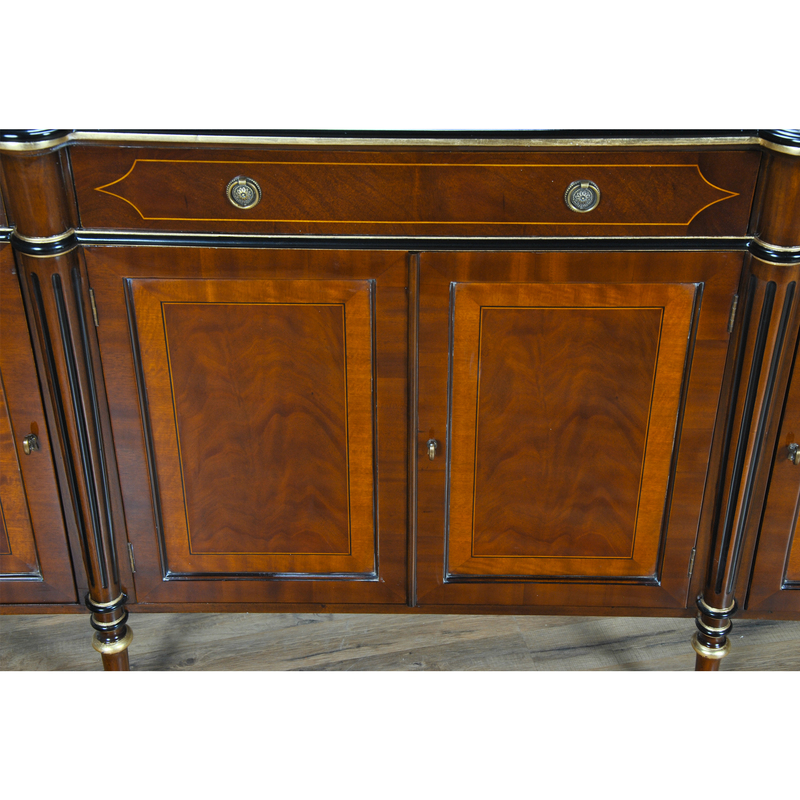 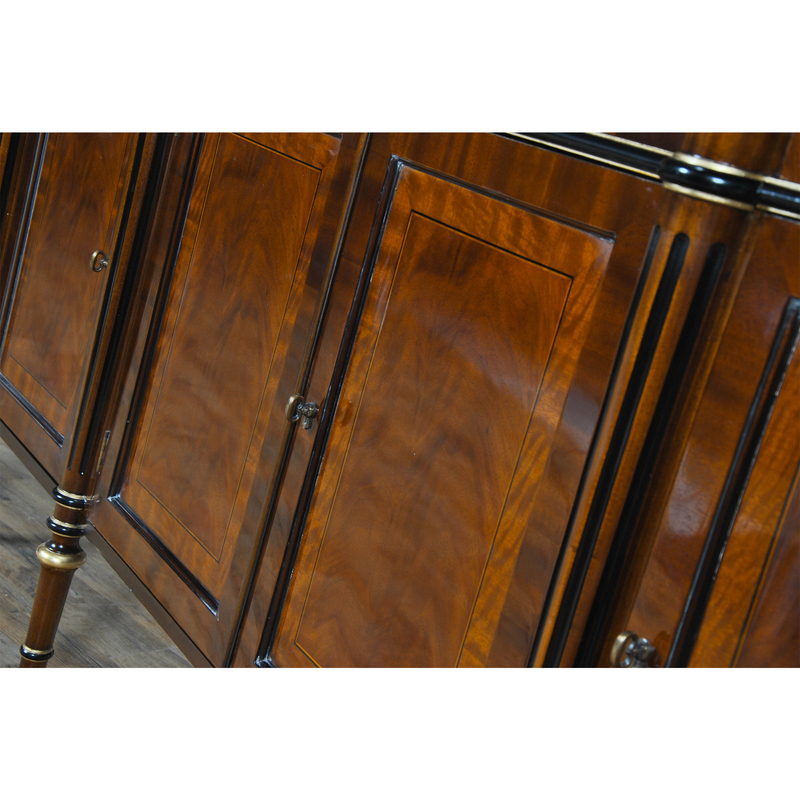 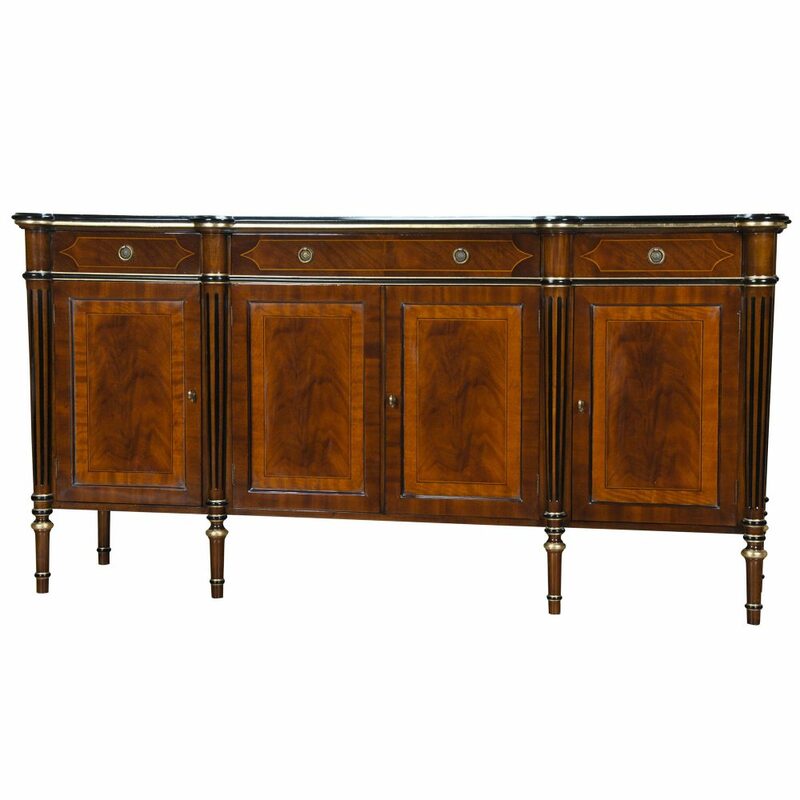 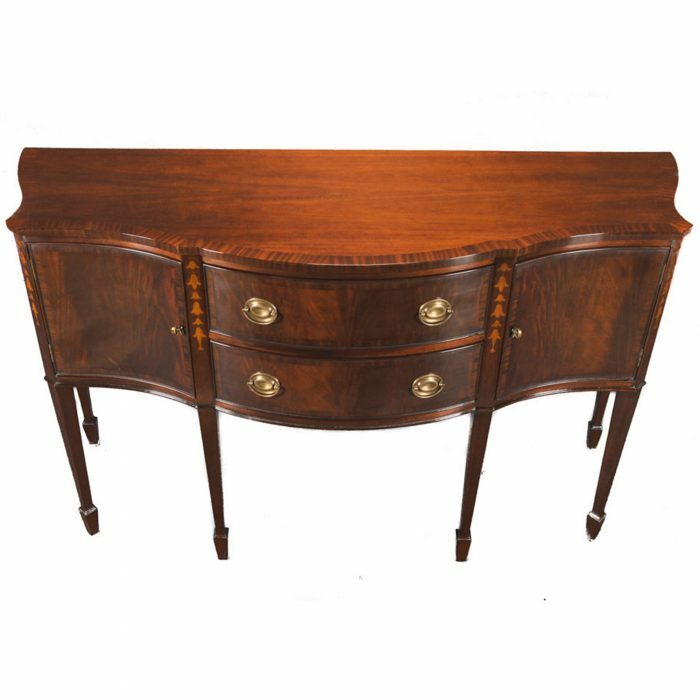 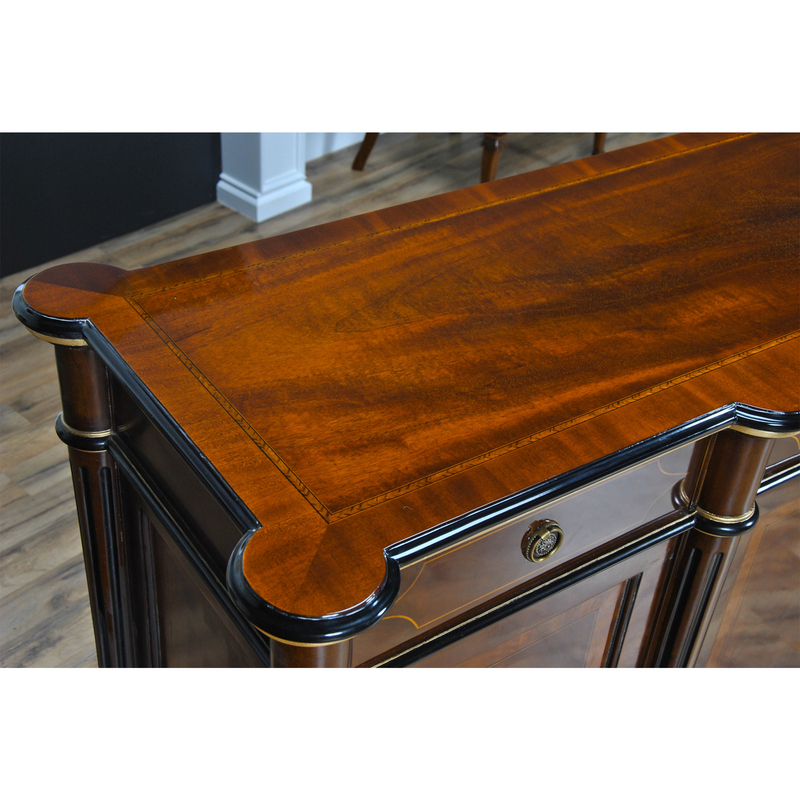 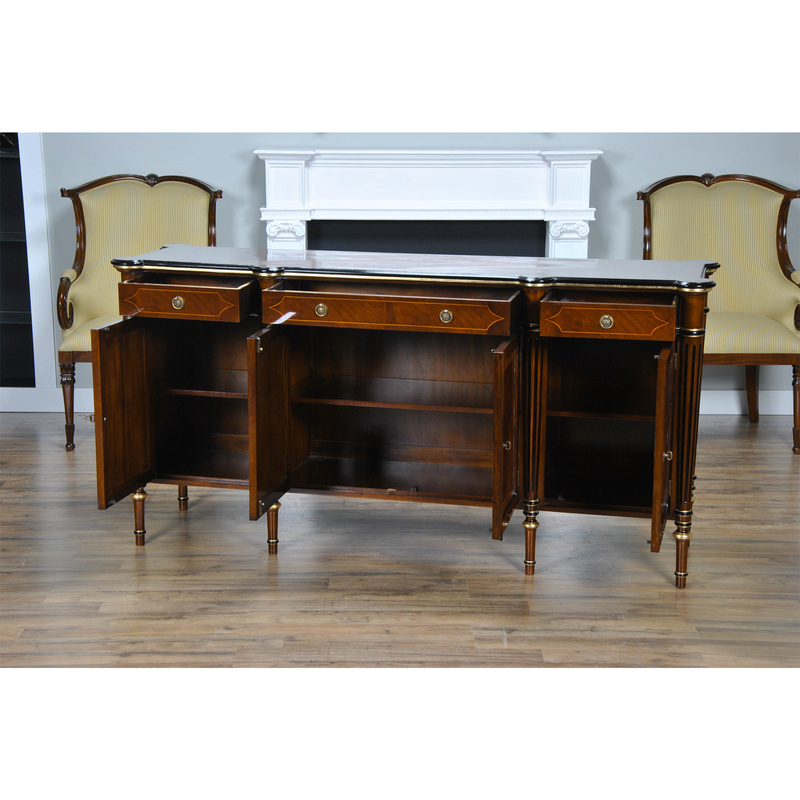 Our Regency Sideboard has it all with sophisticated design and practical storage. 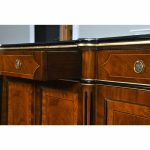 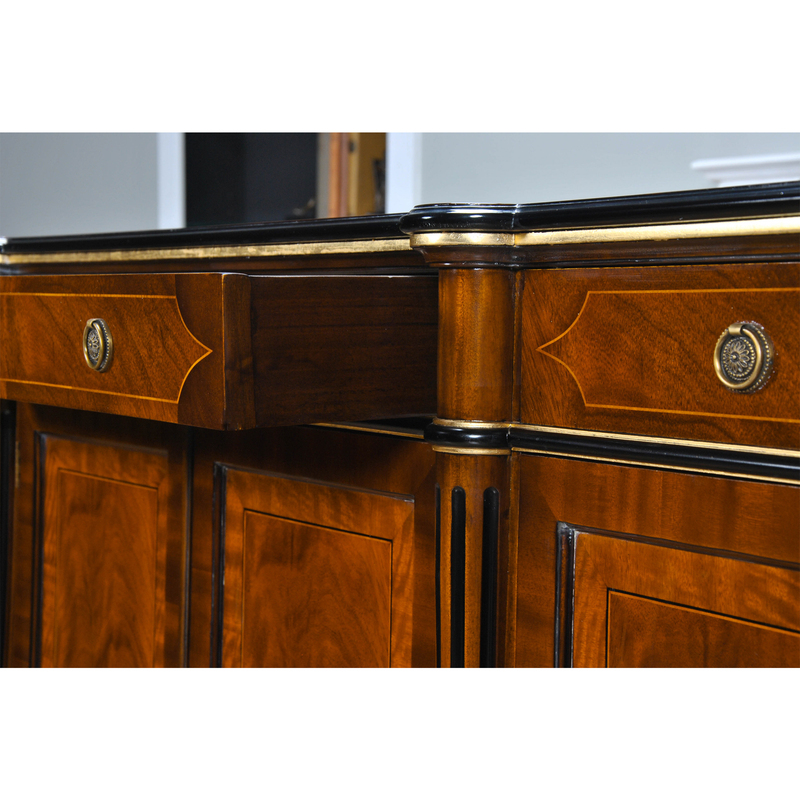 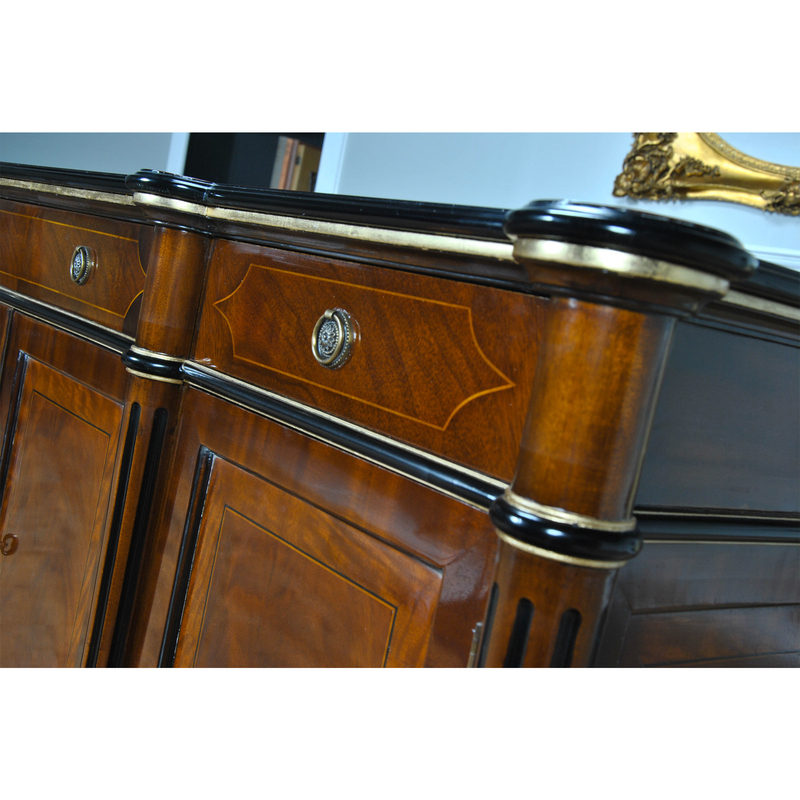 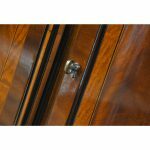 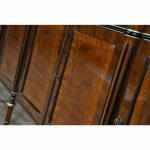 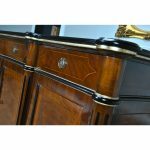 The fluted columns are a classic design feature and the rounded shape of the columns is highlighted on the top of the sideboard as well. 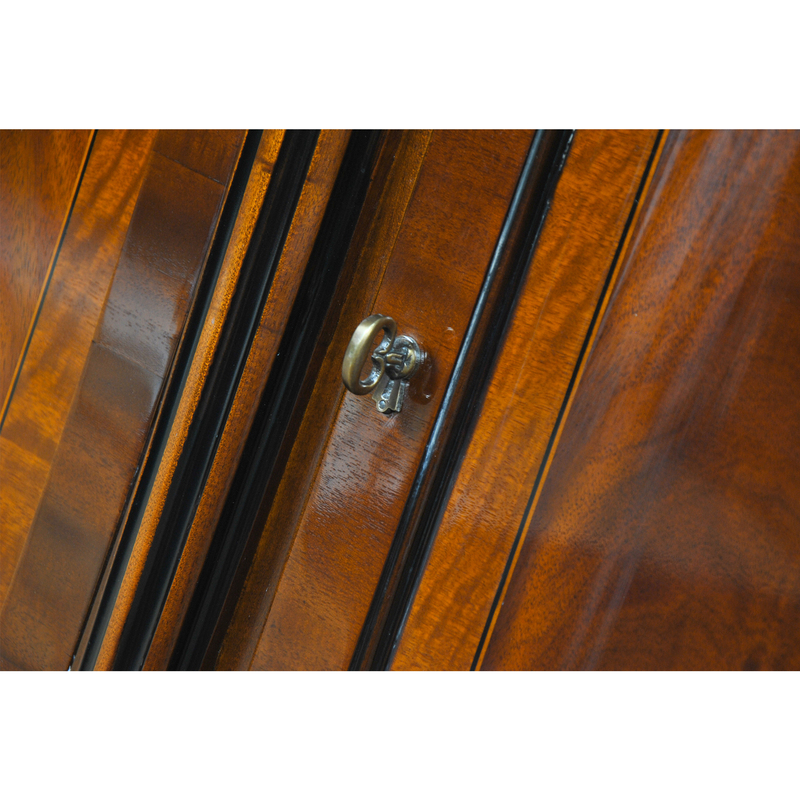 Continuing down the piece the high quality dovetailed drawers are inlaid with fine satinwood veneers and the doors further below are banded with satinwood. 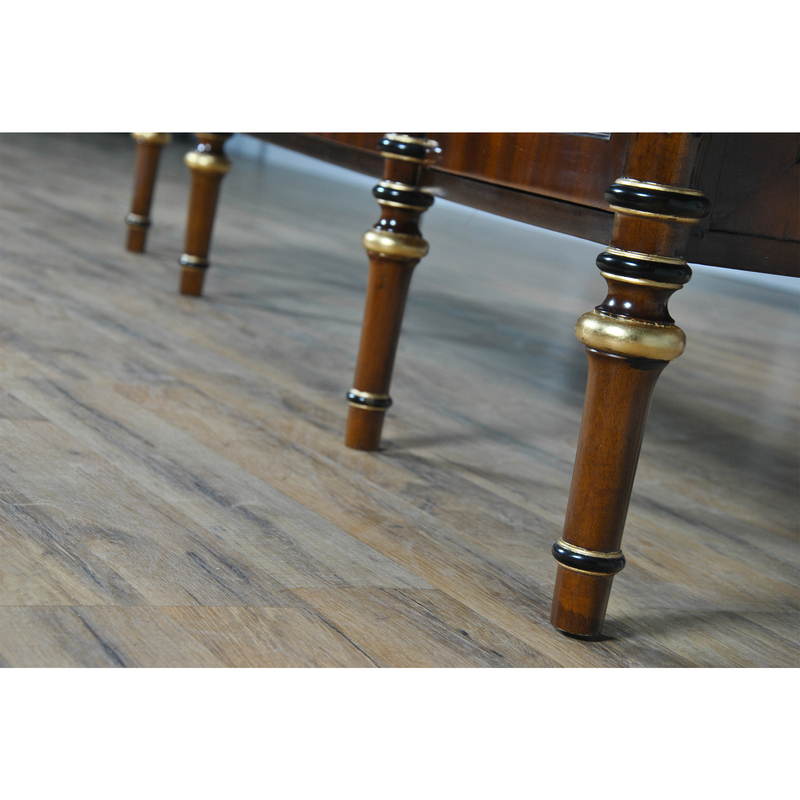 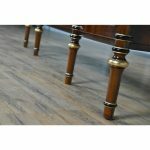 The flowing and fluid appearance is carried on to the floor through the shaped and turned feet. 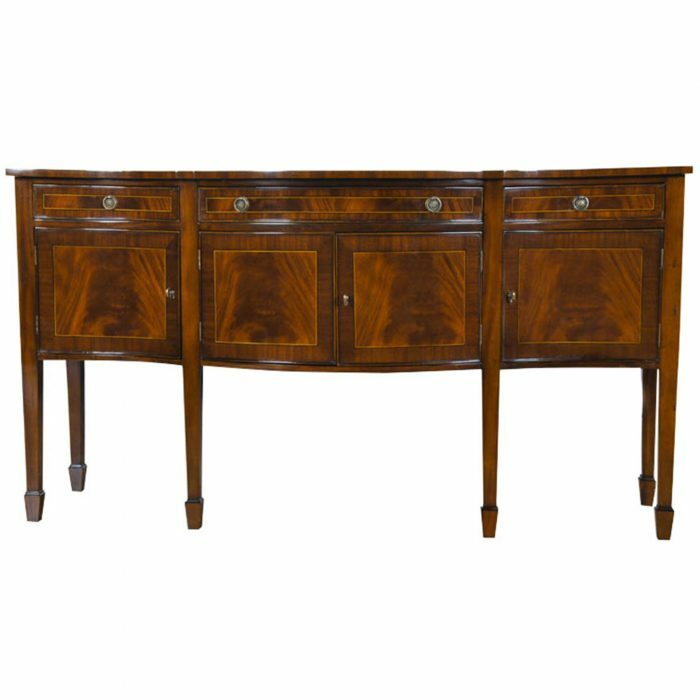 High quality construction throughout the piece carries through to the solid brass designer quality hardware which is also shaped in a traditional Regency design.